I don’t think I will be going anywhere at zero dark thirty to photograph the eclipse, so here is what I saw tonight. And as I post this, the moon is high in the sky- and beautiful as always! 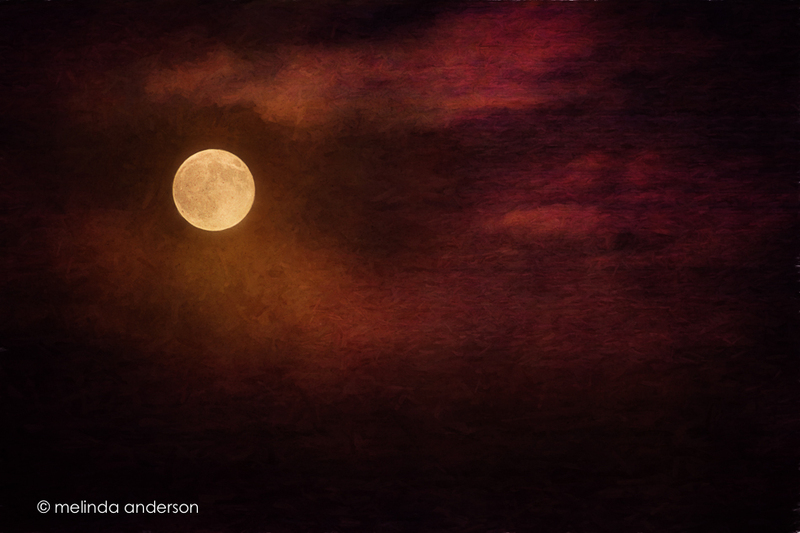 Last night I finally got outside to photograph the super moon. At first there was just a glow in the sky- and then the moon rose over the clouds, only to disappear and then reappear in the cloudy sky. I went out later to check on its progress as it rose in the sky and was almost more fascinated with the smoke-like cloud beside it than I was with the moon itself. For the image below I had to blend two exposures to get the cloud to show next to the moon. 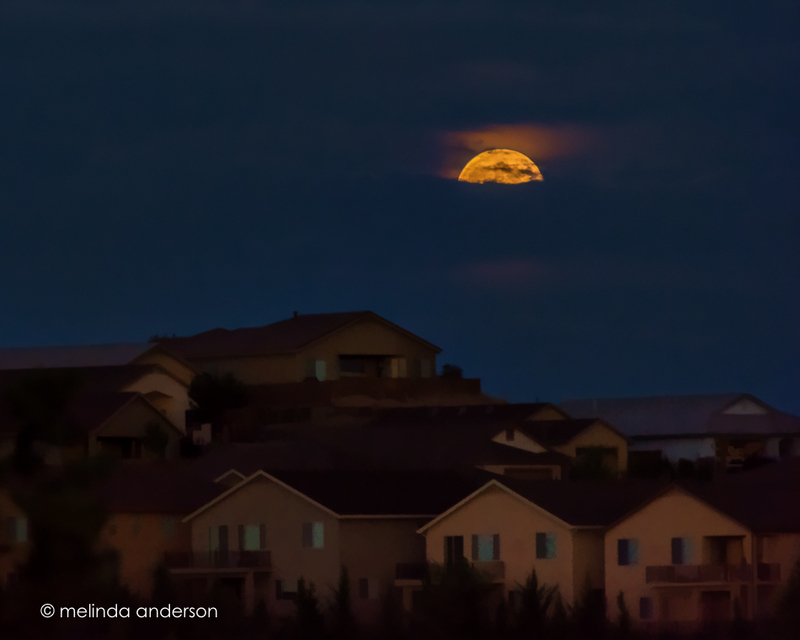 My friend, the intrepid photographer, Carol, is here visiting- so of course we had to photograph last night’s super moon. The moon kind of took us by surprise as we were out in the driveway photographing the sunset- and it quickly rose up into the clouds before I could even get my camera on the tripod. 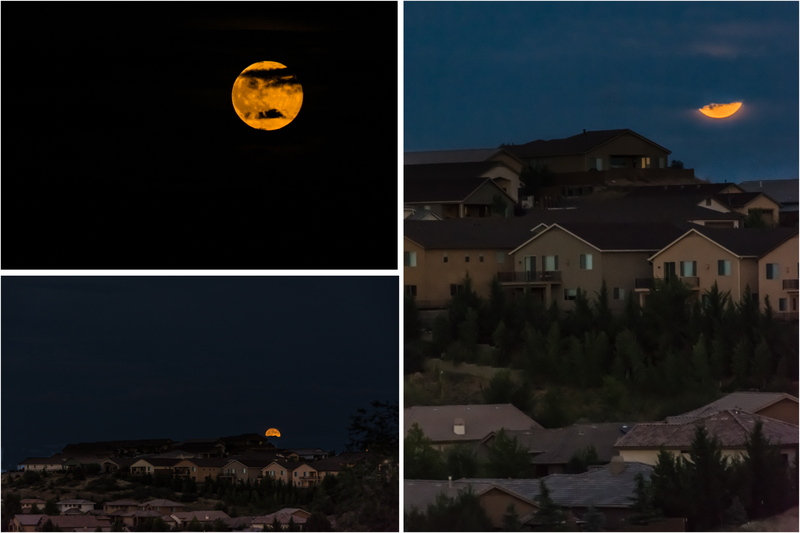 These photos won’t win any prizes, but I enjoyed seeing the huge moon over my neighborhood. Next time, maybe I’ll take photos from a more picturesque spot!